What is behind arrest of billionaire Vladimir Yevtushenkov? The investigation into Vladimir Yevtushenkov, one of Russia’s preeminent businessmen (his net worth has been estimated at $9 billion by Forbes) has led many to compare his case with that of ex-Yukos owner Mikhail Khodorkovsky, who was released in late 2013 after spending a decade in prison. However, unlike Khodorkovsky, Yevtushenkov has not engaged in politics. In mid-September, Russian law enforcement agencies initiated a criminal case against one of Russia’s leading businessmen, Vladimir Yevtushenkov (net worth $9 billion, according to Forbes). According to law enforcement sources, structures held by the businessman bought stock in a major oil company in Bashkortostan (a region located almost 900 miles from Moscow) at an illegal discount of $500 million. As a result, Yevtushenkov has been placed under house arrest at his residence. The case has led analysts to make comparisons with former Yukos owner Mikhail Khodorkovsky, who was released in late 2013 after spending 10 years in prison on controversial charges of tax fraud. However, according to Russian experts, the two cases have little in common, and Yevtushenkov, unlike Khodorkovsky, has not engaged in politics. In a mid-September interview with Russian news agency RBC, ex-Yukos boss Khodorkovsky suggested that the head of state-owned oil giant Rosneft, Igor Sechin, may have inspired the political case against Yevtushenkov. According to Khodorkovsky, Rosneft has recently seen production decline and may be interested in Bashneft, an asset with considerable potential. At the end of 2013, Bashneft led the Russian oil sector in terms of annual production growth and showed an increase of 4.1 percent to 16.1 million tons. Production averaged 44,000 tons per day for 2013. Sechin himself denied the accusation in an interview with Bloomberg, saying that Rosneft has never been interested in Bashneft. As one expert noted, the Sistema Group includes MTS, one of Russia’s major mobile operators, and Mikron, a very promising developer of microchips. 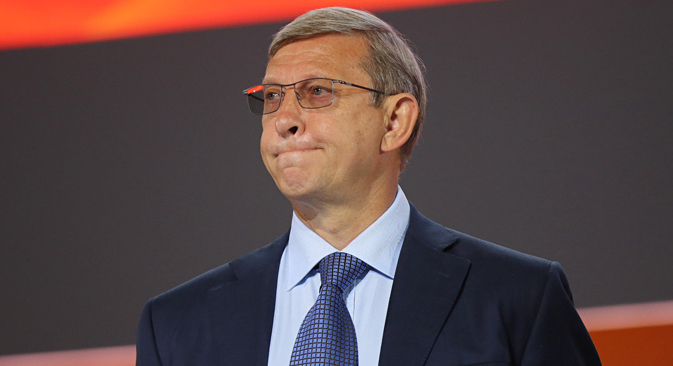 Moreover, among Russia’s oligarchs, Yevtushenkov is one of the farthest removed from politics. Despite his estimated $9-billion fortune, he does not finance political party activity. Abzalov pointed out that although Yevtushenkov is the brother-in-law of Yury Luzhkov, the former mayor of Moscow and once one of the most influential politicians in the country, he was never involved in Luzhkov’s political campaigns. Yevtushenkov-owned structures bought the Bashkir fuel and oil complex from the family of former Bashkir President Murtaza Rakhimov in 2009. The head of Bashneft at the time was Rakhimov’s son Ural. According to the terms of the deal, the price should have been $2.5 billion; however $500 million of that amount was to be paid only in the event that Bashneft achieved certain financial ratios, as Sistema has repeatedly explained. Bashneft failed to achieve these results, and the deal was valued at an even $2 billion. “Bashneft was one of the last independent assets in the industry,” Abzalov said. At the same time, according to Finam, the market value of the assets at the time was around $1 billion. The premium to the market was $1 billion, and as a result the Rakhimov family withdrew from controlling the republic. According to law enforcement officials, the stock was illegally acquired by Yevtushenkov structures because of the $500 million difference in the price. According to a statement by the prosecutor general, Ural Rakhimov took advantage of his father’s position and was consequently also charged in August of this year. The former head of Bashneft is now on the international wanted list. The case against Yevtushenkov has already taken a toll on his financial assets. Finam analyst Anton Soroko noted that investor opinion has declined sharply and could deteriorate further if the case takes a turn for the worse. Dmitry Abzalov, meanwhile, is skeptical that events will develop further and considers state intervention unlikely: “I doubt that the situation will have the most severe outcome, which of course would be the government taking full control of Bashneft,” he said. The first outcome of the case against Yevtushenkov was a sharp decline in the value of Bashneft’s parent company, Sistema. According to data from Broker Credit Service (BCS), on September 29, at the beginning of the week’s trading on the Moscow Exchange, the company’s stock plummeted by more than 18 percent.